In this informative best-selling career handbook, Keys to the C Suite, Mark James shares his 25 + years of seasoned career management expertise in the area of career transition & advancement, in addition to providing tips on knowing yourself, defining what you want from a job, developing a solid interview mindset, and effective salary negotiation to help you unlock the doors to executive career path success. If you’re stuck in a dead-end job, afraid to transition into something bigger and better, not knowing what your next move should be, or just terrified going on job interviews, then this book is the solution for you. You’re just one key away from success! 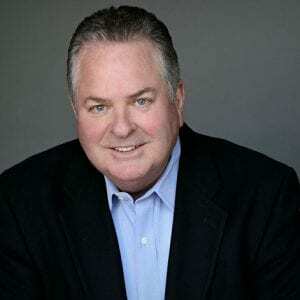 Mark S. James, CPC is the Founder and President of Hire Consulting Services (HCS). He founded HCS in 1999 and has been providing executive recruiting and career transition coaching services for over 25 years. Mark is a Certified Personnel Consultant, awarded to him in 1998 by NAPS, the National Association of Personnel Services. Mark focuses on providing a proven and successful strategy and a structured process to fully enable his clients to conduct a professional job search campaign in significantly less time it would take without a professional career coach. HCS clients gain a new perspective of their marketing value coupled with learning how to execute a strategic job search marketing plan, expert mock interview training, salary negotiation and closing the deal for their new role in their next job. HCS is a highly customized executive career transition coaching firm for executive level professionals. We excel in coaching business professionals and executives who are currently in career transition or planning to make a career change. The HCS career coaching process is very collaborative. We work as partners to define your skills and competencies and develop a strategy to conduct a professional job search campaign. Our common goal is to find the right company that values your talents. Every meeting, discussion and phone call is made with the singular purpose of helping you discover the keys and utilize the tools to help you secure a more fulfilled and productive career path. Mark James is a true expert and these are his proven secrets to success…follow them and find your Keys to the C Suite! Mark nails the answer to why Job Security is the Ability to Secure the Right Job! This thin book is packed with useful content. I have read several books and attended many classes on how to secure a career position, and yet I learned several new ideas. I enjoyed Mr. James’ humor while delivering insightful information anyone can apply. Can’t hardly wait to read his NEXT book. I’ve read a dozen books on job search, and this one helped the most! The author gives practical and tactical steps and strategies for getting results. The book gives concise and precise advice. My own job search has benefitted greatly from reading this book. Mark James of Hire Consulting has captured not only the essence of career transition, but has created an excellent road map for career advancement. Mr. James has presented detailed definitions of all the elements necessary to accomplish this growth, from becoming clear regarding what you want, how to identify your target market, how to negotiate an appropriate salary, through your assimilation in your new position. 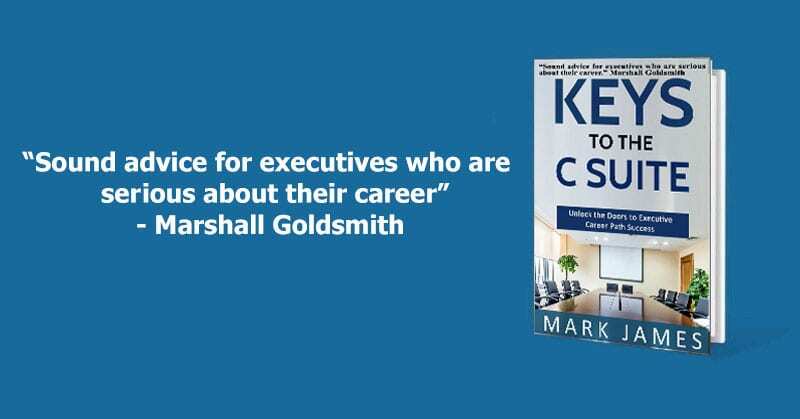 I recommend Keys To The C Suite wholeheartedly to anyone who desires to advance their career. Reading this book could change your life because it will give you the tools you need to do your very best in any job interview setting regardless of whether it may be for an executive position or a job in the mail room. Even if you are not looking for a job, the tips and advice presented in “Keys to the C Suite” will put you in a position to better help your child or a friend who may be in the job market trying to jump start their career or move up the ladder. Simply put, I believe this book is the best road map to career success that I have ever read. This book gives you all the answers and strategy you need to hit any job interview out of the park. Who hasn’t been on a job interview? Who hasn’t been nervous on a job interview – especially one where you REALLY wanted the job? This book will give you the confidence you need to make yourself shine in any job interview. In my life I have been on both sides of the desk many times – both interviewer and interviewee. I find this book to be valuable regardless of which side of the desk you’re sitting on. Highly recommended.